Werner Miller continues with his third volume in this series of self-working and semi-automatic effects all based on mathematical principles. Most of them are card tricks. A total of twenty effects for the magician looking for subtle math to enable stunning miracles. Everything is clearly explained with drawings, diagrams and tables. Peter Duffie (review from Magic Magazine ), Feb 2010: "Miller knows how to work with strange and wonderful arithmetical principles, and he comes up with some brilliant ideas. ... 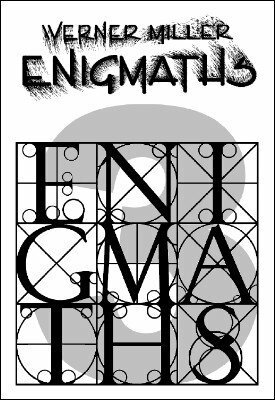 If mathematical magic scares you or you find it dull, Enigmaths could well change your mind and pull you over to the dark side. ... Miller has the unnerving ability to conceal the math to such a degree that the results are really good tricks that you would want to actually perform." 1st edition 2009; 28 pages.